Badger cull pilots aimed at reducing cattle tuberculosis can take place in west Gloucestershire and west Somerset this year, the government has said. The exact areas are not being revealed for security reasons. But the majority of the Gloucestershire area lies near Tewkesbury and the Forest of Dean, while the Somerset area includes part of Taunton Deane. Culling is likely to start in August and last for six weeks, with further areas likely to follow in the future. The Department for Environment, Food and Rural Affairs (Defra) says that culling in highly affected areas can constrain a disease that is costing about £100m per year and necessitates the death of tens of thousands of cattle. "Nobody wants to cull badgers," said Agriculture Minister Jim Paice. "But no country in the world where wildlife carries TB has eradicated the disease in cattle without tackling it in wildlife too." However, opponents, including scientists who spent a decade researching the issue, argue that culling cannot be a cost-effective way of tackling the disease. The UK Randomised Badger Culling Trial (RBCT), or Krebs Trial, found that culling could make matters worse by disturbing the badgers' social structure, inducing them to range outside their normal territory and spread the tuberculosis bacterium to other farms. There are concerns that the efficacy of the method of killing to be used in the pilots - "free shooting", where the badgers are simply shot - has never been formally studied. One former government scientist recently described free shooting as "a recipe for perturbation". Defra argues that if certain conditions are met, culling can reduce disease incidence by 16% over nine years. Each area must cover at least 150 sq km, with culling taking place on at least 70% of land inside the zone. The aim is to reduce badger populations inside the cull zones by at least 70%. Natural England will issue licences for the pilots only if groups of farmers and landowners come forward with plans that meet these criteria. Shadow Environment Secretary Mary Creagh said the cull would be neither humane nor cost-effective. "This 'big society' badger cull will cost farmers more than it saves them, put a huge strain on police, and will spread bovine TB in the short term as badgers move out of cull areas. 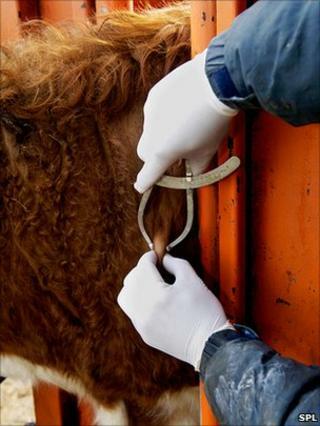 "At the end of the cull, 84% of the TB problem will still remain." The cost of policing will fall on the public purse. Defra is not publishing the exact locations because, a spokesman told BBC News: "Those licensed to cull badgers and living or working in the area must also be allowed to undertake lawful activity without fear of harm or intimidation". Defra anticipates allowing 10 new cull zones each year. Defra's plan relates only to England. The Welsh Assembly Government is expected to announce a decision on pilot culling in Wales soon. Badger cull: Are we silly to be so sentimental?